UK Release Date - 30th January 1989. US Release Date - 31st March 1989. Assisted/Engineered By - Nigel Green (Tracks 01/04). Producer/Engineer - Robert Allen Scovill (Track 06). Assisted By - John Smit/Malcolm Harper (Track 06). 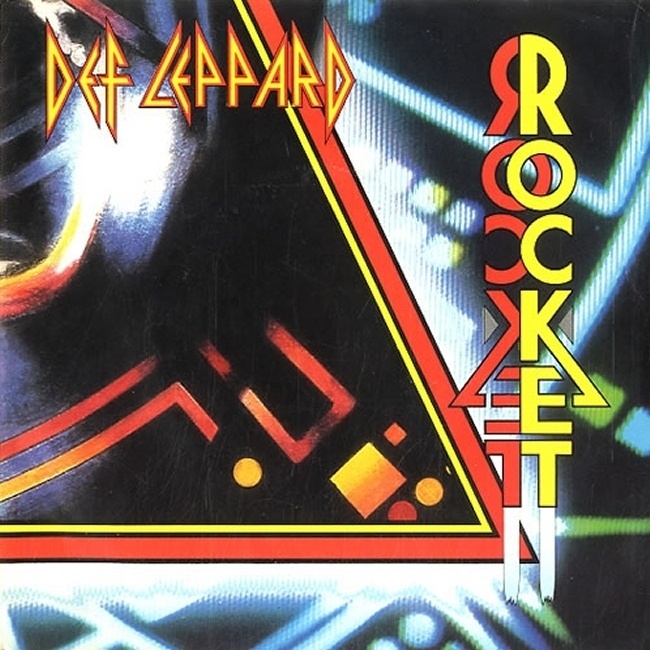 Producer - Def Leppard (Track 02). Engineered By - Ronald Prent (Track 02). Live Track 02 - Recorded 25th June 1987 in Tilburg, Holland. Live Track 06 - Recorded 12/13th February 1988 in Denver, CO, USA. Special Formats - Limited Edition 7 Inch Brit Pack Boxed Set with six postcard factfiles. Special Formats - Numbered Limited Edition (3,500 copies) 12 Inch Picture Disc. Special Formats - Canadian 12 Inch/CD/CASS 'Rocket EP' with 'Women' Live Denver 1988/Band message. The sixth and last UK single from 'Hysteria' was released in January 1989. 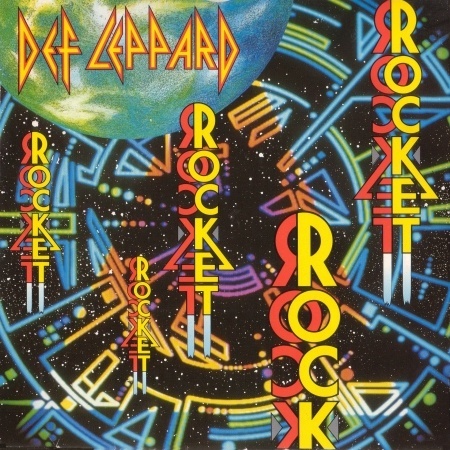 'Rocket' was released as the unexpected final single from the album in the UK. Issued due to the album's continued popularity around the world. It gave the band another Top 20 UK hit reaching Number 15. Their fifth Top 20 and sixth Top 30 single from the album. It also reached Number 12 in the US, 15 in Australia, 5 in New Zealand and 3 in Canada. 'Release Me' was used as a B-Side in the UK. Various versions of 'The Lunar Mix' were used with different titles and lengths from the Radio Edit up to the Extended Version. Another track from Tilburg was also used. In other countries a live track from Denver was included before the release of ITR-IYF.